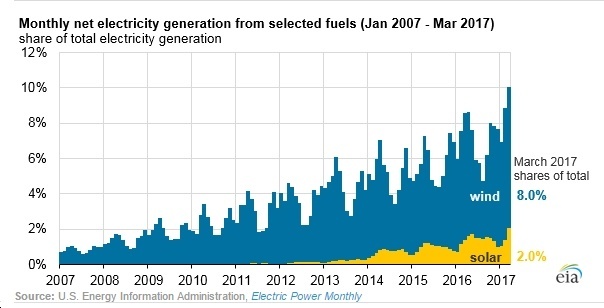 On June 14, the U.S. Energy Information Administration (EIA) reported a landmark development in U.S. power markets: "For the first time, monthly electricity generation from wind and solar (including utility-scale plants and small-scale systems) exceeded 10% of total electricity generation in the United States." 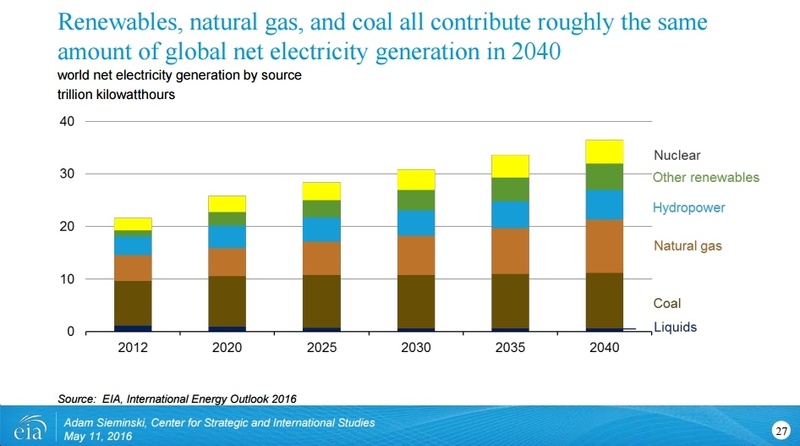 As you can see from the graphic below, this isn't a fluke; to the contrary, wind and solar have been growing inexorably for years now, and there's certainly no sign that this will stop any time soon. Bloomberg New Energy Finance (BNEF) is out this morning with its New Energy Outlook 2017, and there's a great deal to digest. Mostly, it's great news for clean energy and for cleantech more broadly, as we'll get into below. New Report by GTM Research, Energy Storage Association Finds "biggest quarter in history for the U.S. energy storage market"